Ulverscroft Digital provide digital solutions facilitating easy intuitive and secure browsing and borrowing of eBooks and audiobooks with enhanced browsing, borrowing, reading and listening experiences. Currently partnering with libraries across the UK and worldwide. The new uLIBRARY apps have been created in collaboration with Firsty Group. 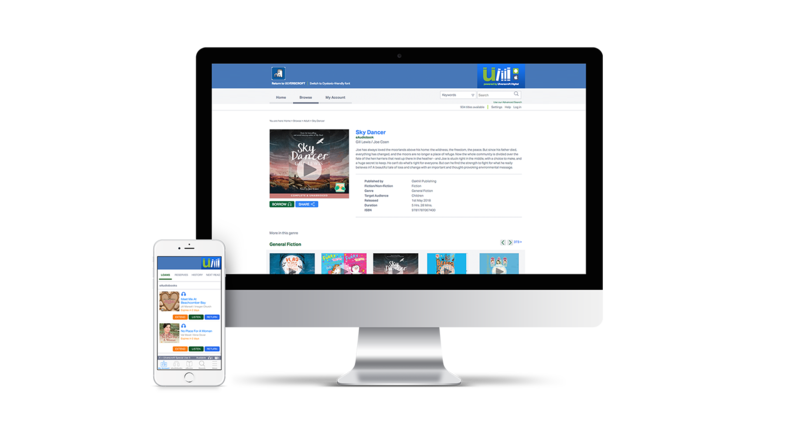 uLIBRARY provides a secure and reliable app for library patrons, ensuring a secure, smooth space to browse, borrow, and return eBooks and eAudiobooks. The uLIBRARY App is available and supported using: iOS (9.3 and above), Android 5.0 and above. © 2019 Ulverscroft Digital, part of the Ulverscroft Group | All rights reserved.